Navodaya Vidyalaya Samiti (NVS) is an autonomous organization under the Ministry of Human Resource Development, Department of School Education & Literacy, Govt. of India is looking for energetic, pleasant personality, and experienced candidates those have zeal to prove their talent for the posts of Teachers, Principals and and Assistant Commissioners in its Hqrs. Office, Regional Offices and Schools spread across India.Candidates who matches the eligibility criteria can move forward to fill the application form. Miscellaneous category of Teachers : 253 posts. Deserving candidates has to pay Rs. 1500/- for the posts of Assistant Commissioner and Principals and Rs. 1000/- for the posts of Teachers as Bank DD in favour of Navodaya Vidyalaya Samiti which is payable at Noida. (no fee is chargeable by SC/ST/PH/ Female candidates). 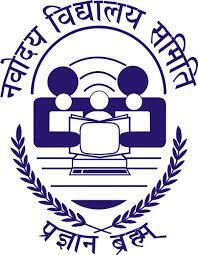 Candidates can apply Online at Navodaya Vidyalaya Recruitment website prior to 09/10/2016.